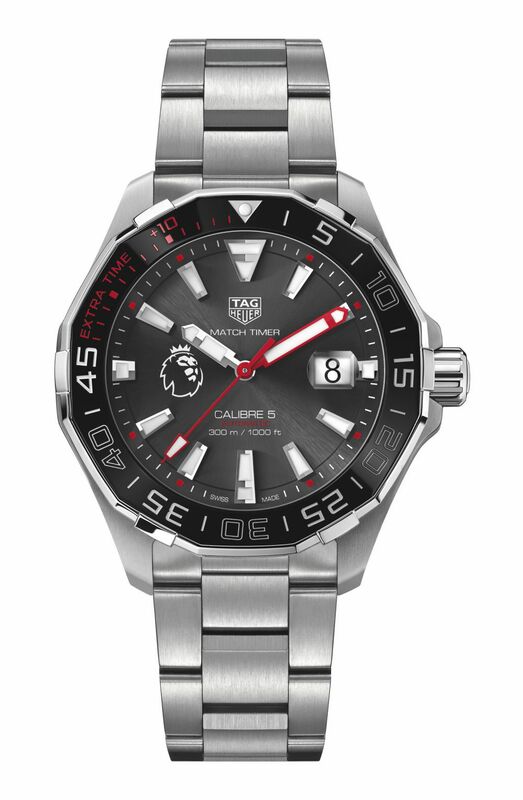 TAG Heuer introduced its latest model highlighting the brand’s association with the English Premier League. Being the first Swiss brand to be named the English Premier League’s official timekeeper, TAG Heuer introduced its latest Aquaracer timepiece for the occasion. The new model shares the same technical features as the standard Aquaracer version. The stainless steel case measures 43mm in diameter. The black ceramic bezel is exclusively designed to time the 45 minute intervals of a football game. The watch is water resistant to 300 meters. 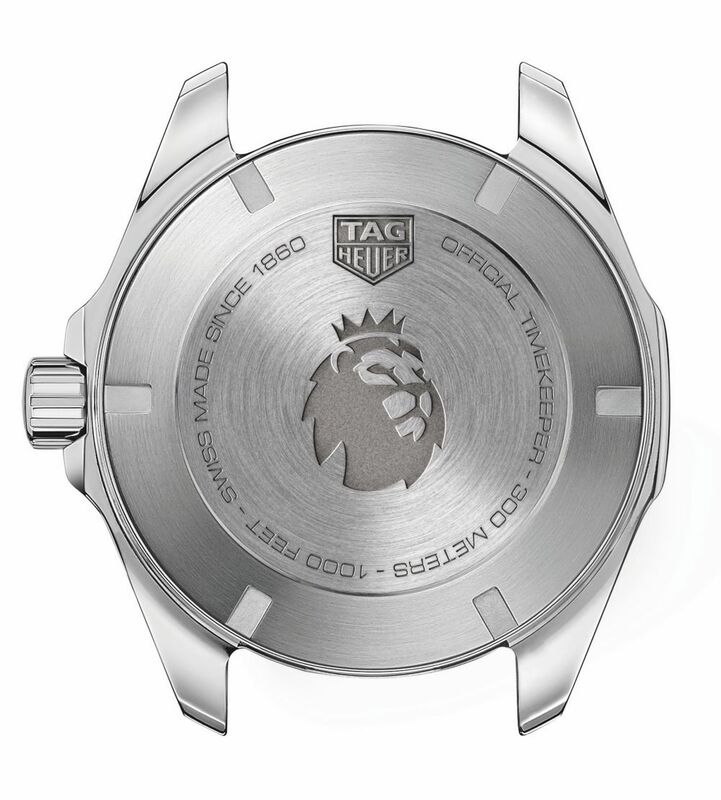 The solid stainless steel caseback features the official English Premier League emblem. The dial sports the official logo of the English Premier League and is located at the 9 o’clock position. The date feature is displayed through a window located at the 3 o’clock position with a magnifying cyclops. The hands and hour markers are Super Luminova applied for better night time visibility. The timepiece is powered by the Caliber Ref. 5. The automatic movement beats at 28800vph and offers a 38h power reserve when fully wound. 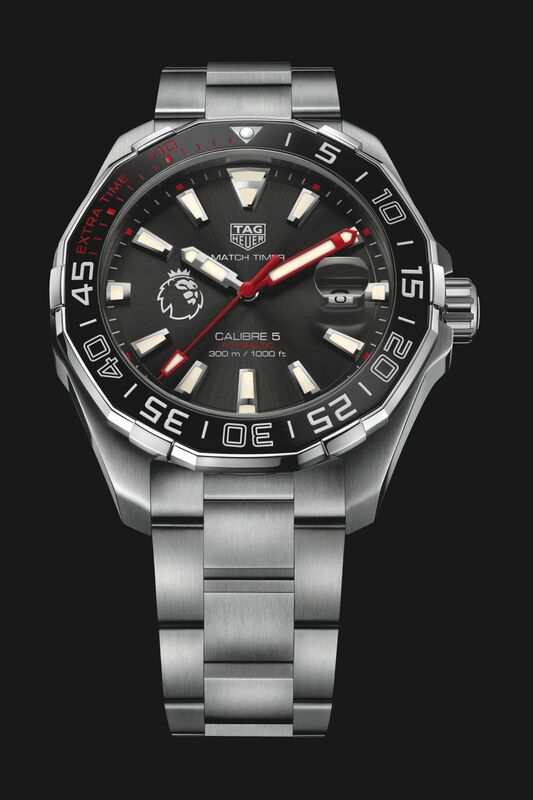 Tag Heuer Aquaracer Premier League Special Edition is offered with the standard stainless steel Aquaracer bracelet.